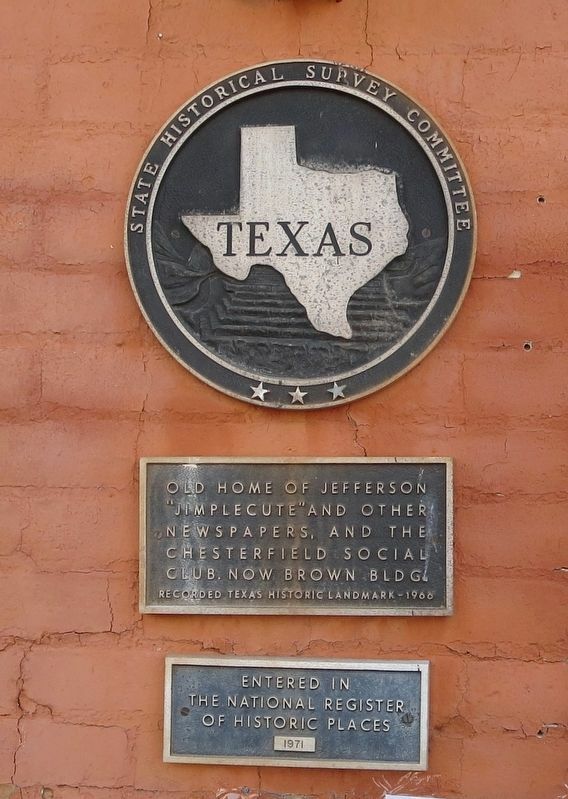 Old home of Jefferson "Jimplecute" and other newspapers, and the Chesterfield Social Club. Now Brown Building. Location. 32° 45.386′ N, 94° 20.724′ W. Marker is in Jefferson, Texas, in Marion County. Marker is on North Vale Street north of West Austin Street, on the right when traveling north. Touch for map. Mounted to the outside wall. Marker is at or near this postal address: 112 North Vale Street, Jefferson TX 75657, United States of America. Touch for directions. (within shouting distance of this marker); Jay Gould Railroad Car (within shouting distance of this marker); Captain William Perry (within shouting distance of this marker). Touch for a list and map of all markers in Jefferson. More. 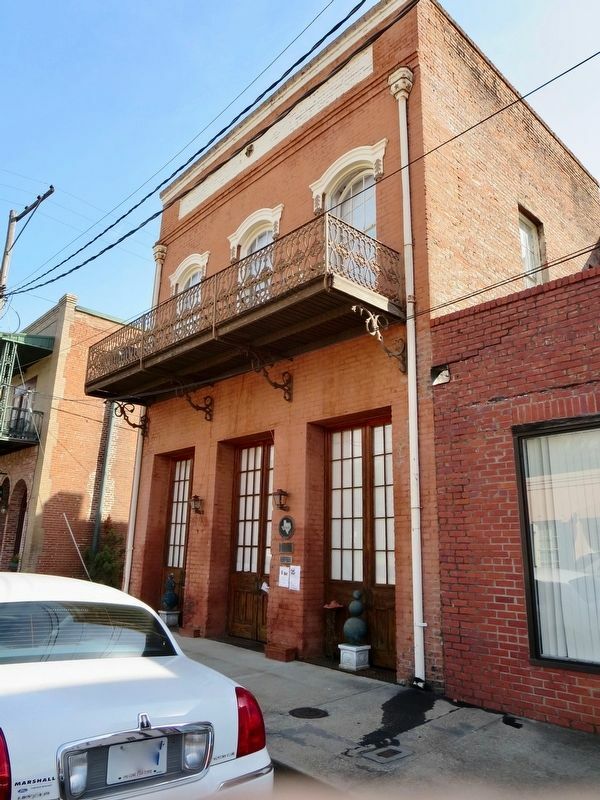 Search the internet for Brown Building. Credits. This page was last revised on July 6, 2018. This page originally submitted on July 6, 2018, by Mark Hilton of Montgomery, Alabama. This page has been viewed 67 times since then and 8 times this year. Photos: 1, 2. submitted on July 6, 2018, by Mark Hilton of Montgomery, Alabama.